Recently, melatonin has been associated with cancer both in vitro and in vivo. However, the value of melatonin in the treatment of cancer remains disputable. Hence, we performed a systematic review of randomized controlled trials (RCTs) of melatonin in solid tumor cancer patients and observed its effect on tumor remission, 1-year survival, and side effects due to radiochemotherapy. An electronic search was conducted using the databases Pubmed, Medline, EMBASE, Cochrane library, and CNKI, from inception to November 2011. Trials using melatonin as adjunct treatment concurrent with chemotherapy or radiotherapy for cancer were included. Pooled relative risk (RR) for the tumor remission, 1-year survival, and radiochemotherapy-related side effects were calculated using the software Revman 5.0. The search strategy identified 8 eligible RCTs (n = 761), all of which studied solid tumor cancers. The dosage of melatonin used in the 8 included RCTs was 20 mg orally, once a day. Melatonin significantly improved the complete and partial remission (16.5 vs. 32.6%; RR = 1.95, 95% CI, 1.49–2.54; P < 0.00001) as well as 1-year survival rate (28.4 vs. 52.2%; RR = 1.90; 95% CI, 1.28–2.83; P = 0.001), and dramatically decreased radiochemotherapy-related side effects including thrombocytopenia (19.7 vs. 2.2%; RR = 0.13; 95% CI, 0.06–0.28; P < 0.00001), neurotoxicity (15.2 vs. 2.5%; RR = 0.19; 95% CI, 0.09–0.40; P < 0.0001), and fatigue (49.1 vs. 17.2%; RR = 0.37; 95% CI, 0.28–0.48; P < 0.00001). Effects were consistent across different types of cancer. No severe adverse events were reported. 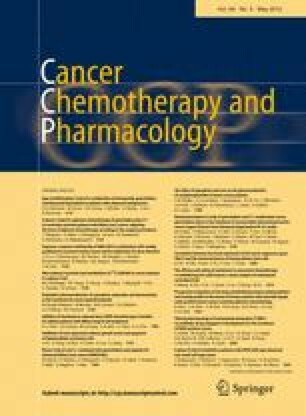 Melatonin as an adjuvant therapy for cancer led to substantial improvements in tumor remission, 1-year survival, and alleviation of radiochemotherapy-related side effects.